Orano is holding meetings this week to discuss the decommissioning of the Cluff Lake project. The mine, located in the western Athabasca Basin, was in operation from 1980 to 2002. It consists of both open pit and closed mines. In 22 years of operation, the project produced over 62 million pounds of yellowcake, which is a type of uranium powder obtained from crushing raw uranium. Yellowcake is used in preparation of uranium fuel for nuclear reactors. The meetings, being held in La Loche, Buffalo Narrows, Ile-a-la-Crosse and Beauval, are to discuss the decommission status. For the past 16 years, Orano has been adhering to neutralizing standards to ensure the land returns to an environmentally sound state. Where there was once open pits, an airstrip, buildings and roads, the land is now covered in grass and over 650,000 trees that were planted by Orano. Standards such as these have not always been in place. Examples are the Gunnar and Lorado mines in the Uranium City area. “These former mine sites at Uranium City, when they finished the mining because the price of uranium wasn’t good, they just closed up the mines and walked away,” Orano Canada manager of communications Veronique Loewen says. Now, decades after Gunnar and Lorado were closed, a decommissioning process has been started. Three years ago, the barriers came down at Cluff Lake and the site was re-opened to the public. People are now encouraged to go and visit; there is signage to commemorate where pits and buildings were once located. Environmental risk assessments prove the land is safe for hunting, fishing and trapping. People attending the meetings have been sharing stories of taking their families to the site where they were once employed. 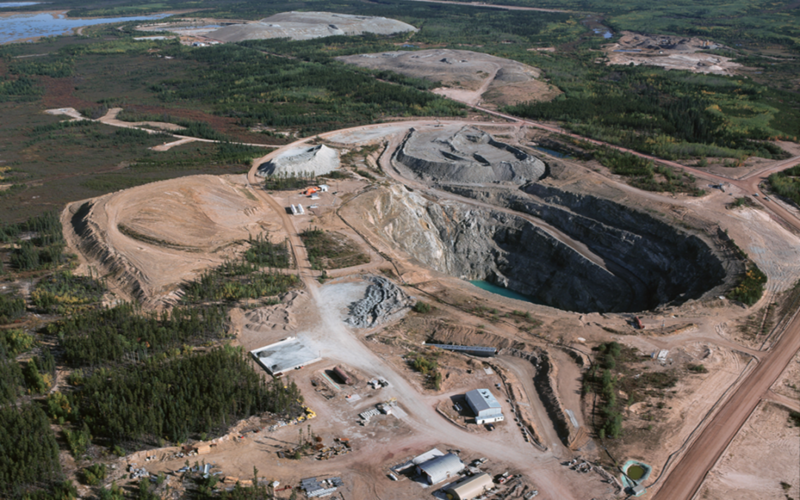 The Cluff Lake mine is a modern era Canadian uranium site decommissioned by using an elaborate environmental assessment process and the first to involve the surrounding communities. Orano will eventually file an application to turn the land back over to the province. This will happen once a series of inspections have been completed which will take several years.